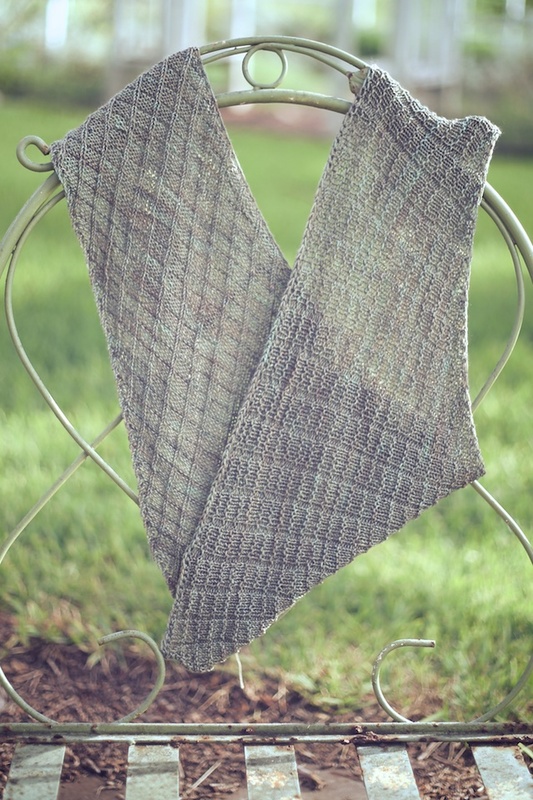 I recently test knit this beautiful shawl pattern for Libby Jonson, of Truly Myrtle, and have been waiting to post about it until the pattern was released. 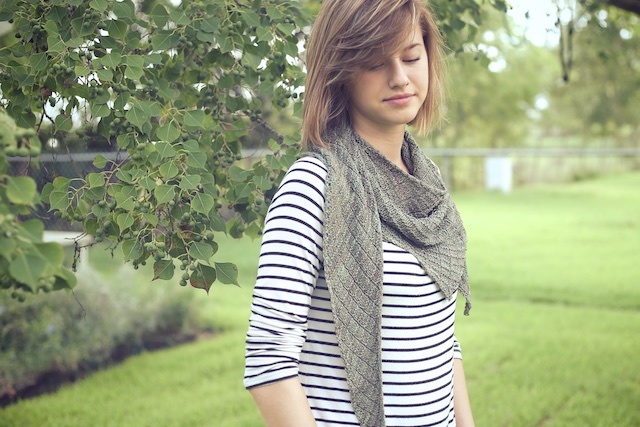 Well, it's been published and is on sale via Ravelry right now. Industry is my first completed piece for the Handmade Fashion Challenge 2015. And like, everything else I intend to make, it's super wearable. My pieces are all being made with an eye to what I can actually wear a lot in a warm climate. There are many winter days where this shawl might be the only thing I'll need to keep me warm, beyond jeans and a t-shirt. It's pretty gorgeous, right? Not only that, it was my pre-wedding freak out soother. I started this before my daughter's wedding and finished it in the exhausted stupor that followed. It was good medicine. 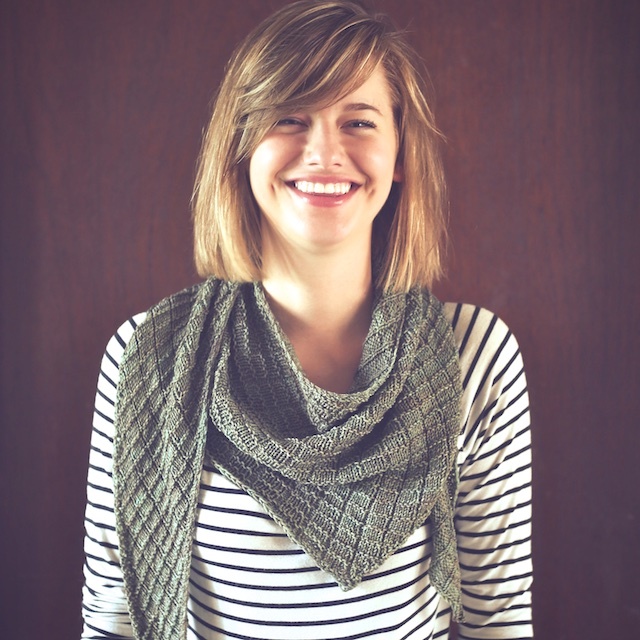 Libby named the shawl for the brick and steel architecture it brings to mind. 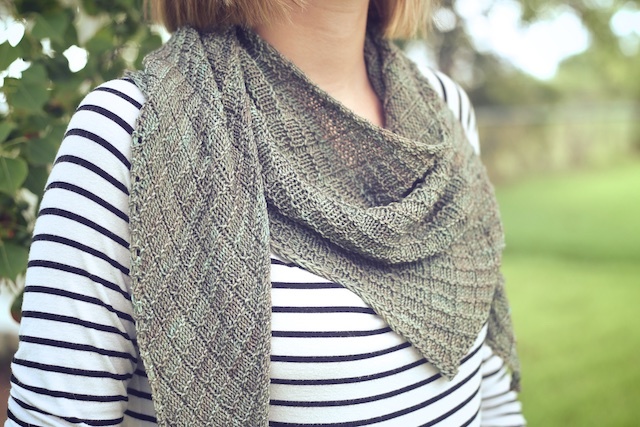 That's funny because architectural is the word that came to my mind when knitting both this shawl and her Rattan design. Though it is a drapey, feminine accessory, it appeals to my straight-forward, tomboy side. Read: it's not over the top girly. When I first saw sneak peeks of it on instagram, I immediately thought of an arial map of city blocks. That's a cool association. There's lots of lines and textures happening, while still working really well with a slightly variegated yarn. 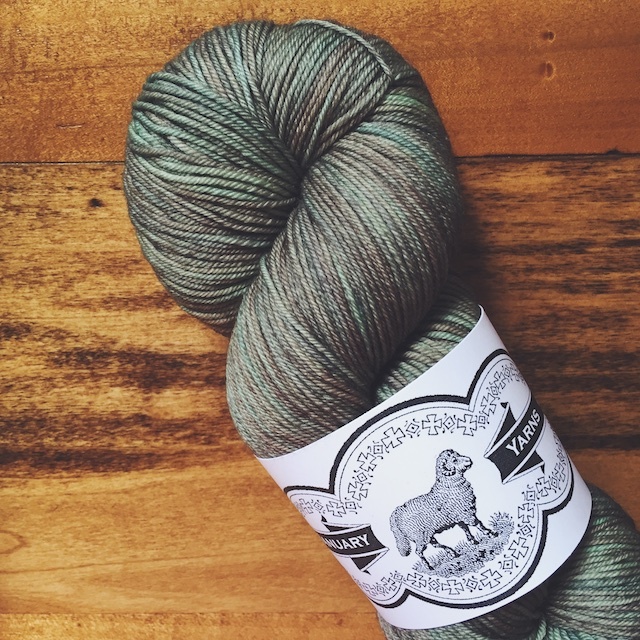 And check out this Staple Sock skein from January Yarns! 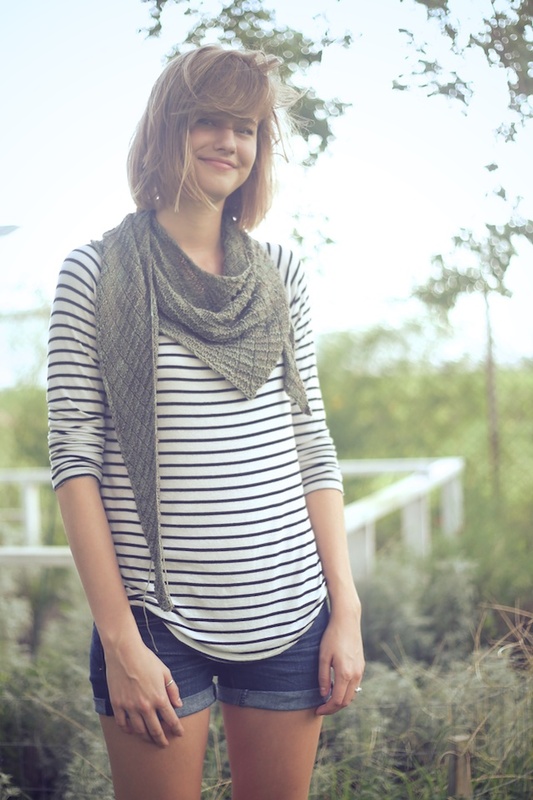 I've been wanting to try some of Sarah's yarn since I started stalking her beautiful knits during a knit-along. Isn't this the neatest shade of green? It looks like the edges of my sedum and aloe plants- light green. It also makes me think of moss I saw on hikes in Tennessee. Industry just spilled off of my needles, like the Rattan and the Settler Shawl. It was the perfect pattern for addictive knitting: challenging while allowing for a conversation. That way my family gets to feel like I'm really paying attention to them when I'm knitting. 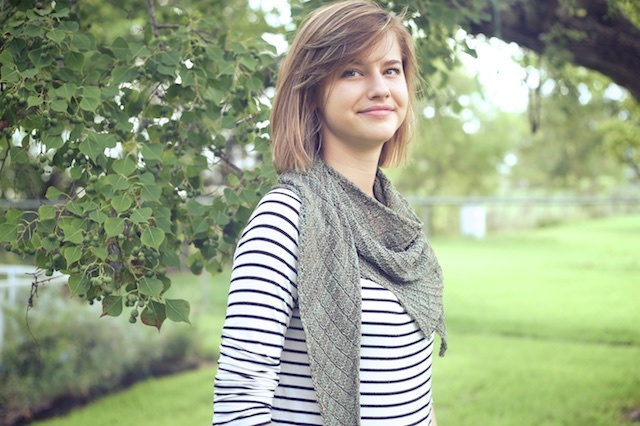 Since all of the wedding hoopla has died down, I guess my daughter felt like she owed me because she took the time to model my shawl when she really needed to get home and cook supper for herself and her husband. Doesn't that sound so grown up? I, meanwhile, was considering having my husband pick something up on his way home so I wouldn't have to cook. Aw, she's pretty gorgeous too. Back to Industry! I followed the pattern as instructed, no modifications. Mine came out a bit longer and deeper, but that's no biggie. I pretty much expect that with most of my knits. In fact I'm counting on it with my current sweater. So, I still have to finish a knitted tee, dye sock yarn and knit socks, sew some shorts, make some jewelry (easy peasy), and embroider a tote bag for my HMFC2015. 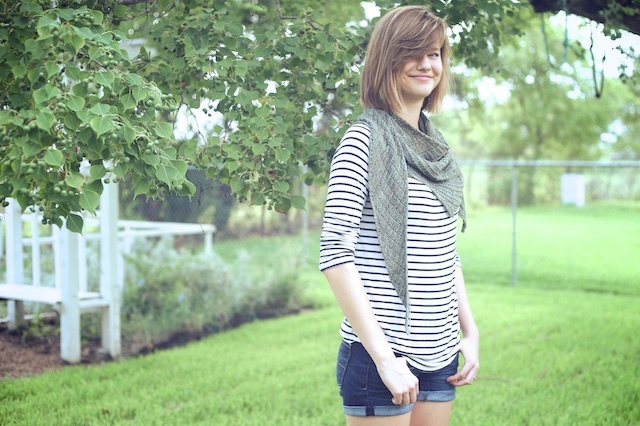 The Handmade Fashion Challenge will be going on through the month of October. Also I kind of over estimated what I would accomplish in that time. I think everyone else is just trying for four pieces in that time period. So, it's not at all too late to join in. You sewing whizzes, you know who you are, could totally do this too! You might also encourage me in my first sewing endeavor (hint, hint). 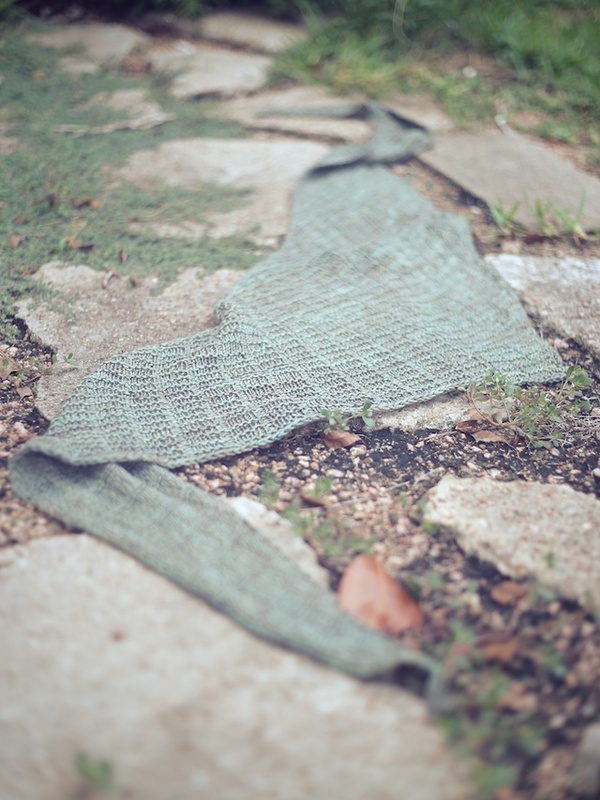 More posts on this shawl: planning, in process, and a sneak peek while I ramble.